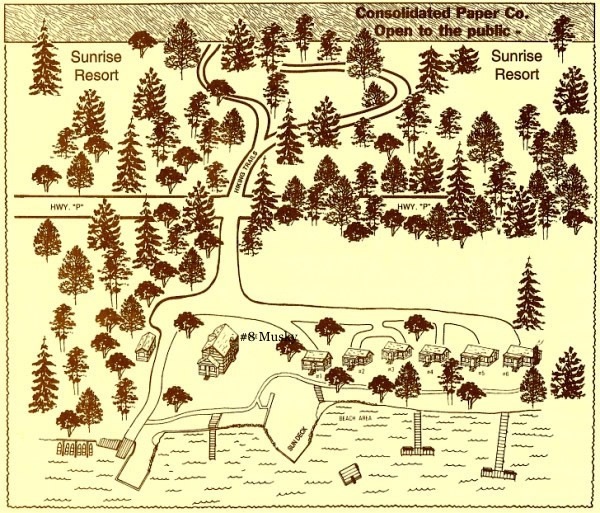 Sunrise Resort is a family owned Northwoods resort in popular Vilas County, offering 6 cozy lakefront cabins and 2 homes to accommodate your large group, be together and have your own space! All cabins feature spectacular sunrises, screen porches and that “Northwoods” feeling. Spread across 1000′ of crystal clear Presque Isle Lake frontage, considered to be a trophy musky and smallmouth bass fishery, plus access to a variety of waters in a quiet 4 lake chain with over 1500 acres of water to explore. Nearly 12 acres of park like grounds create a relaxing atmosphere with 2 sun decks, sandy swim area, plus access to hiking/biking/snowmobile trails and more, there is something for everyone!